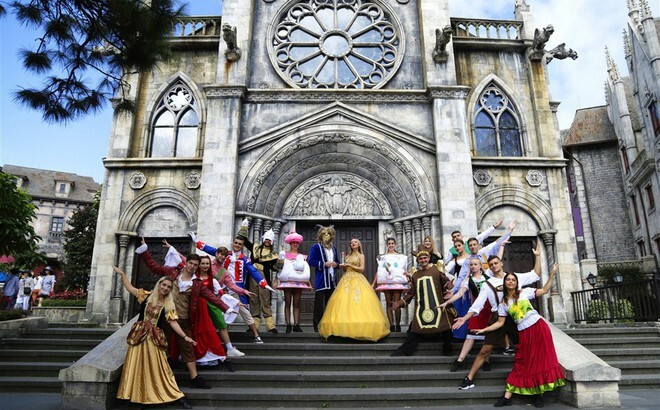 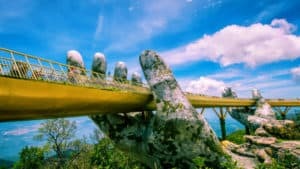 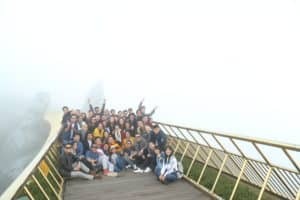 An extremely unusual Halloween season is attracting visitors to Ba Na Hills, to live in a magical fairytale, and to enjoy an unforgettable holiday experience. 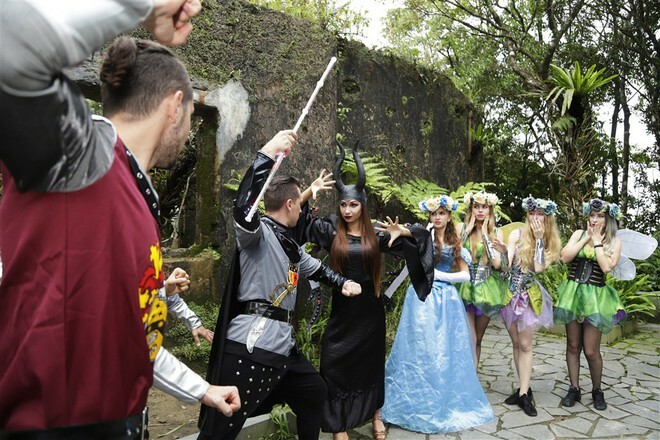 Without the traditional horror images of Halloween such as monsters, demons, skeletons or witches, this year, Sun World Ba Na Hills gives visitors an unforgettable experience of a fairy land. Vistors will back to their childhood when many characters like the princess, prince, fairy, Little Red Riding Hood… appeared “in the flesh” in the beautiful costume glitter. 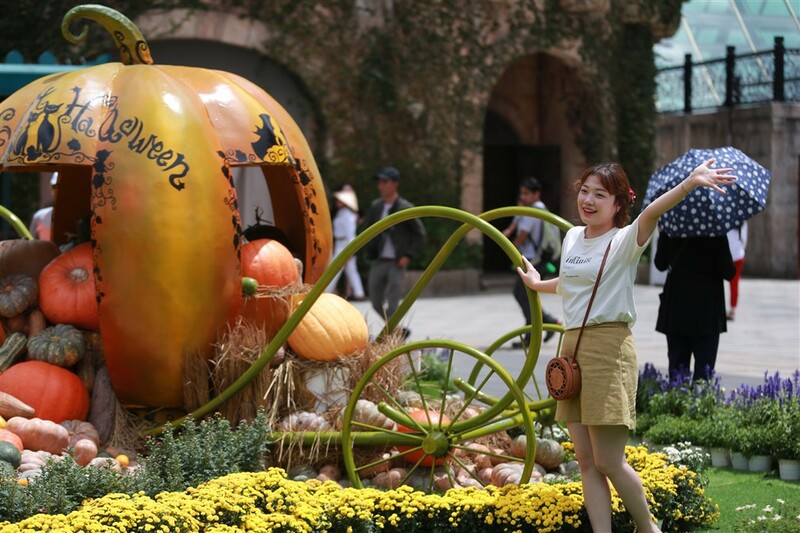 Featured in the hues of black and orange, often seen in Halloween festivals, Sun World Ba Na Hills is not only fanciful and masculine, but also extremely cute with thousands of large and small pumpkins stretching throughout the aisles, reminiscent of the witch’s house of cakes hidden deep in the jungle. 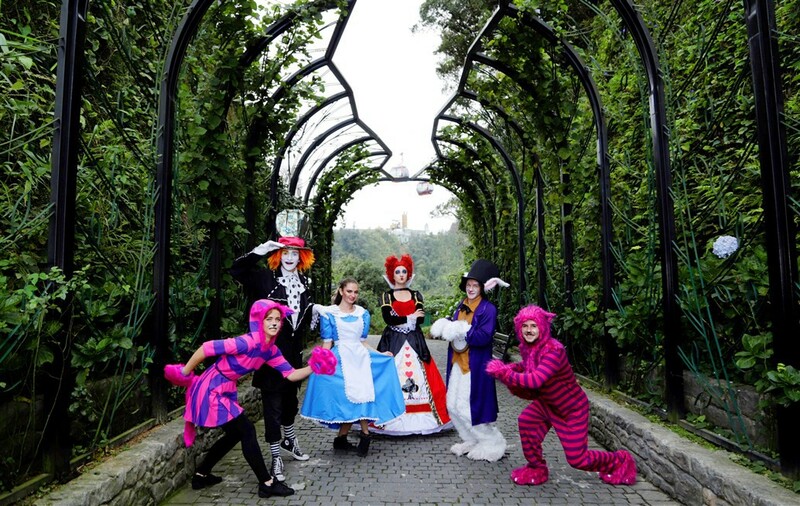 Occurring in the 10am and 3pm daily frames, famous quotes from familiar fairy tales such as Aladin and Gods Lamp, Maleficent, Alice in the Wonderland … by the artists from Europe lively performances, which fascinate visitors from all ages. 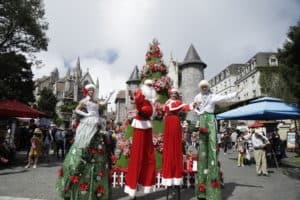 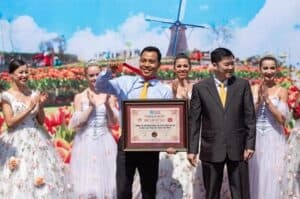 In addition, the circus performances, the vibrant art during the festival from the October collection day, cover the busy, daily worries and bring visitors into a world only fun and passionate to discover new experiences for a life full of energy. More specifically, not only live in fairyland space, come to the festival, the children are also checked in, exchanging with their “idol”. 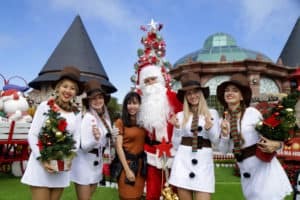 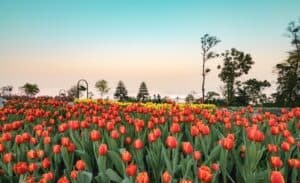 Especially, from now to 31/12/2018, Sun World Ba Na Hills deploys a 850,000 VND winter combo, in which visitors will get a cable car tickets and a lunch buffet worth up to 300,000.